Product prices and availability are accurate as of 2019-04-11 19:37:07 EDT and are subject to change. Any price and availability information displayed on http://www.amazon.com/ at the time of purchase will apply to the purchase of this product. 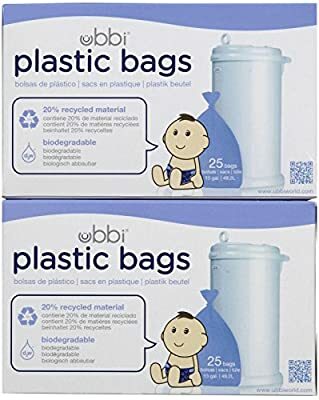 The Ubbi plastic bags are an option for the Ubbi diaper pail, although not a requirement. 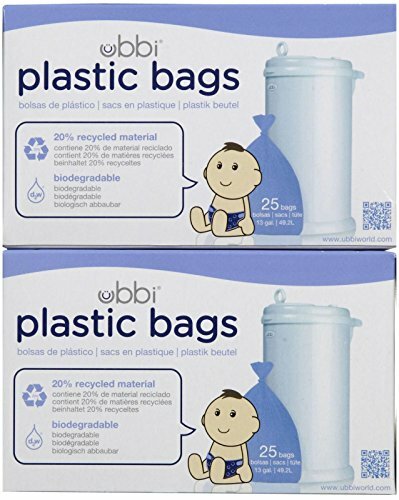 Each box of purple 13-gallon liners includes 25 unscented bags made of 20% recycled material. With a capacity of up to 1,050 newborn diapers, this box of plastic bags is not a must, just a plus!